Soft ginger candy gives you the best of both worlds -- a spicy tang to wake up your palate and a soft, easy-to-eat texture. Your options for making soft ginger candy range from creating candy that is already soft to modifying harder candies or candied ginger so they soften up. All foods, including candy, harden as they are exposed to air and lose moisture, so you need to store the candy in a way that keeps it soft. Cooked in equal parts sugar and water and tossed with more sugar after it's drained, thin slices of peeled ginger turn into candied ginger. 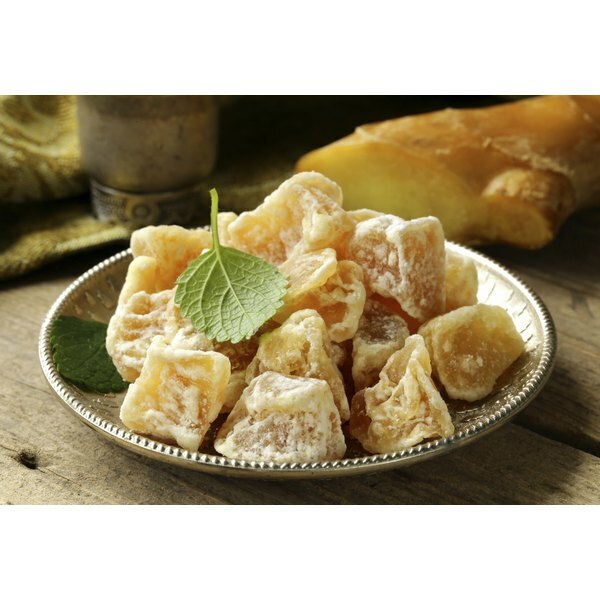 Candied ginger varies in softness, depending on how old the candy is; newly made candied ginger, air-dried only until it's cooled or served within a few days, is soft and slightly chewy, while ginger that is one month to one year old is hard. You can soften hard candied ginger by soaking it overnight in a ginger-infused sugar syrup. In France, they're called pâtes de fruits, and in the U.S. they're called gummy bears, worms and fruit roll-ups. These jellied candies get their soft texture from a mix of ginger, apples and pears that have cooked in water and sugar until they're soft and then pureed, strained and simmered until they're slightly thickened. The final thickening comes from a teaspoon of pectin for every 2 pounds of fruit and 2/3 cup water and a final boil until the sugar is dissolved. When the mixture is cooled and poured into molds or cut into squares, it becomes jellied ginger candy. With the addition of ginger syrup, homemade or store-bought, or ginger juice from a specialty market, traditional soft candies turn into soft ginger candy. Substitute a few tablespoons of the milk in a fudge or caramel recipe or the fruit juice in Turkish delight with a ginger-infused liquid and add a small amount of grated ginger for a bigger flavor. To make your own ginger syrup, boil 1 part chopped ginger and 3 parts of both sugar and water until the sugar dissolves. Either strain out the pieces of ginger or leave them in. Any type of soft ginger candy will harden as it ages or when it is stored in the refrigerator. 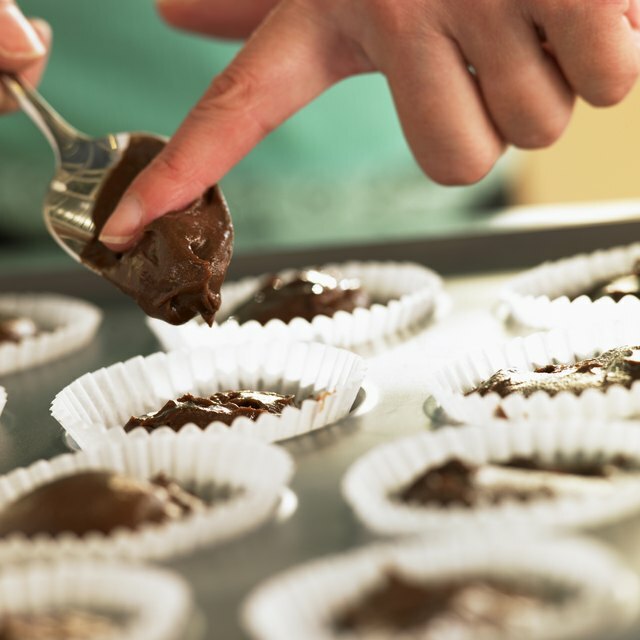 To soften refrigerated ginger fudge or jellied candy, let it come to room temperature for a few hours before serving. If bringing the candy to room temperature doesn't soften it enough, cover it with a damp cloth or paper towel and microwave it for 10-second intervals until it softens. Storing the candy in an air-tight container with a fresh apple slice will add moisture and soften it within a day or two. Domino Sugar: Sugar + Heat = Caramel! Department of Food, Nutrition and Packaging Science Clemson University: What Is the Best Way to Store Candied Fruit? Can You Eat Banana Leaves? How Long Can Raw Ground Beef Be Refrigerated Before Using?